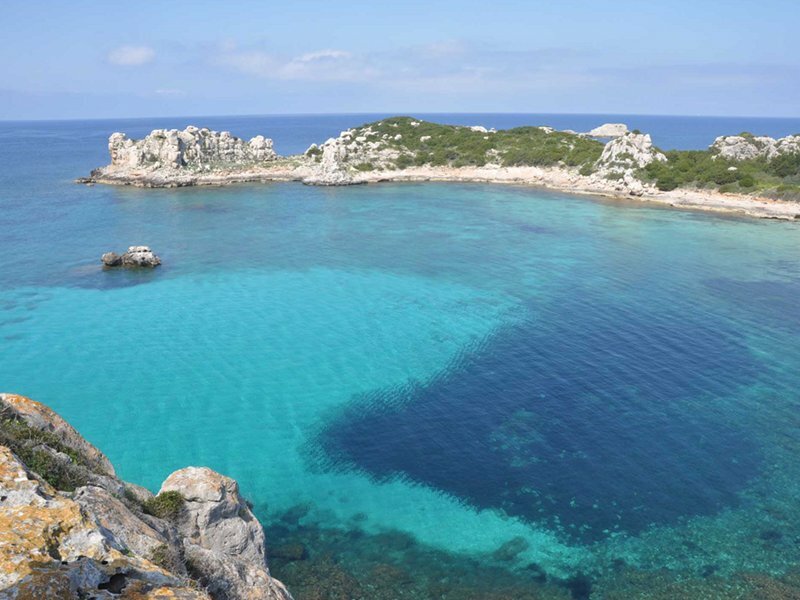 Pianosa is the flattest area in the Tuscan Archipelago. Since it is completely included in the Park's territory, the island was closed to tourism until 1998, because it was the site of an important agricultural penal colony and top-security prison that covered almost the entire surface. Until that time the island territory was divided into two realities separated by a big wall made of reinforced concrete: the wide prison area and the smallest part of the village, the core that was inhabited by the prison's employees and by those who worked for the community. After the prison was not longer in use, Pianosa remained uninhabited, and only in 1999 the guided visits were allowed. It is necessary to remind that the territory of the former agricultural penal colony can be visited only along with environmental hiking guides proposing different itineraries within the protected area, to discover the island's landscapes.